A couple of weeks ago we came across Ursa. 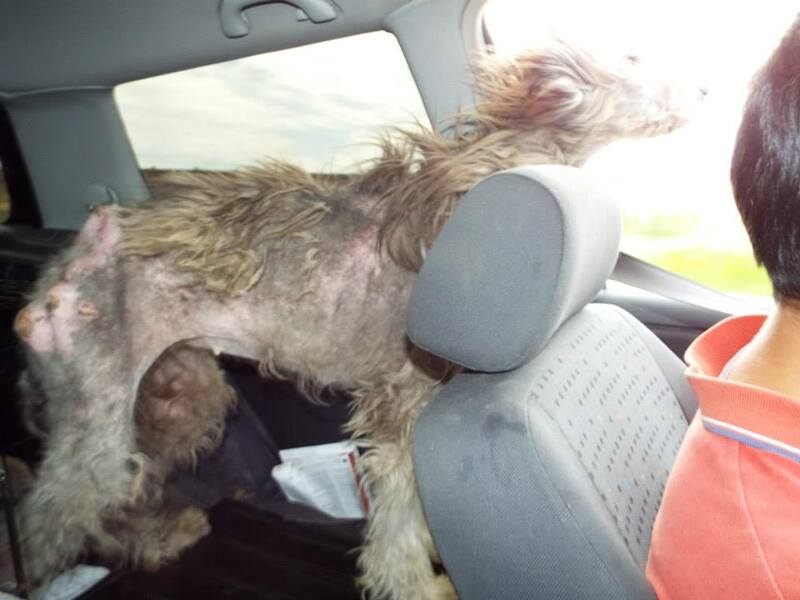 She was found lying in the woods, too weak and emaciated to stand, with her bones protruding out, and her body covered in sores as a result. 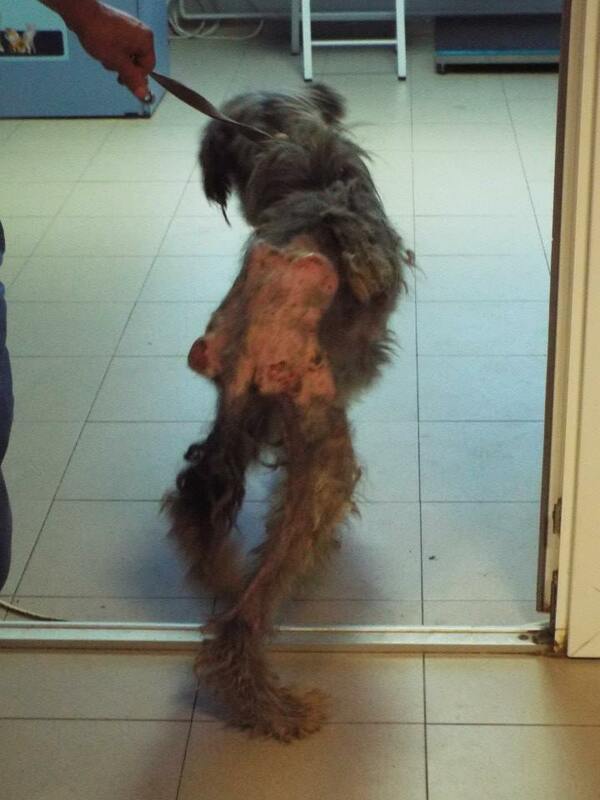 Half of her fur was gone, the rest matted and filthy. 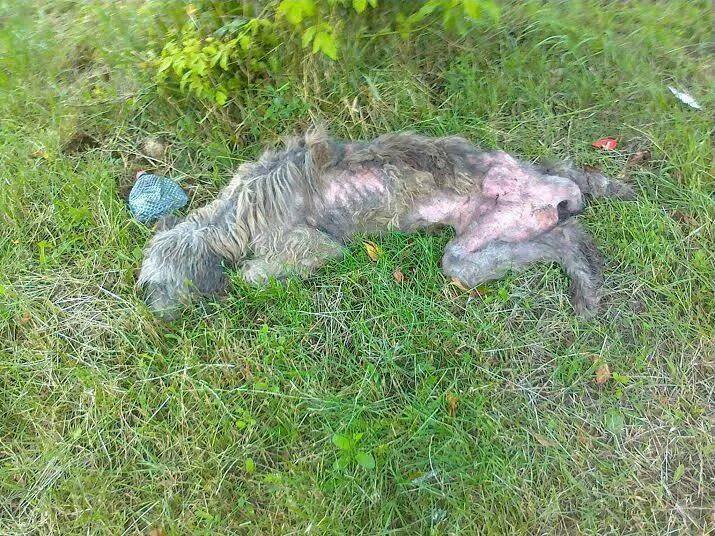 We see many horrific things in Romania and it is cases like this were one really gasps, filled with dismay at the horror. Yet, despite all her pain and discomfort she clearly was a wonderful dog, wagging her tail and looking happy. 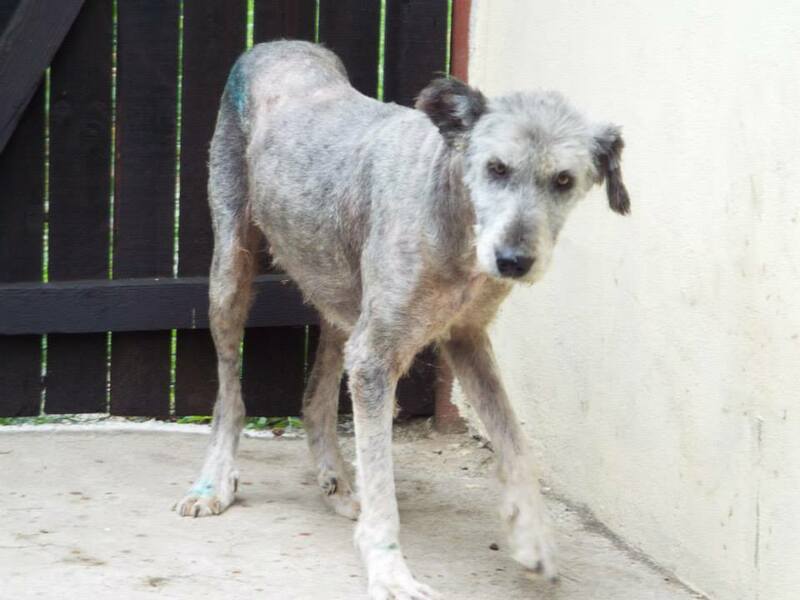 Despite her matted fur, what remained around her face showed that despite her poor condition she was a beautiful dog. Ursa was also lucky. She was found and carried to safety. 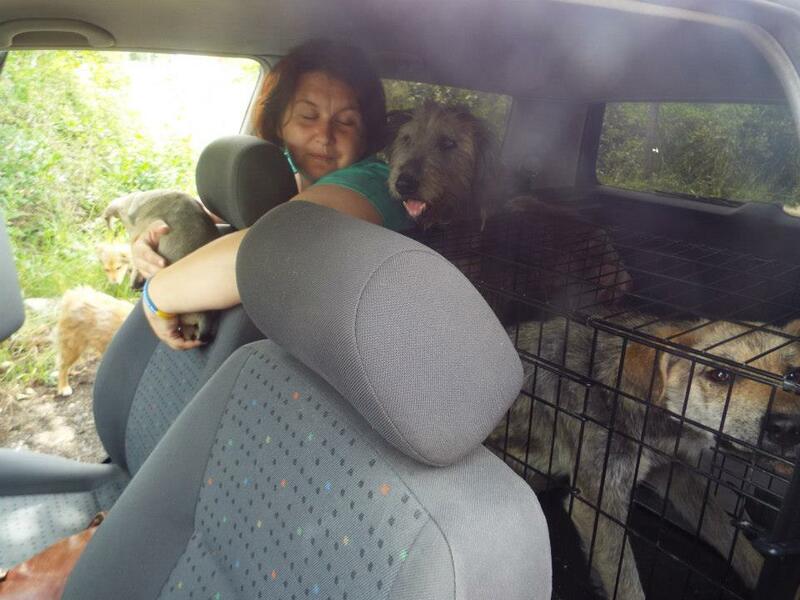 She was taken to vets where her wounds were disinfected and she was given food, which she wolfed down. She was safe. Today, two weeks later, the change is remarkable. The bag of bones and sores has flourished in foster care at the vet’s. She has put on weight and her sores are healing. 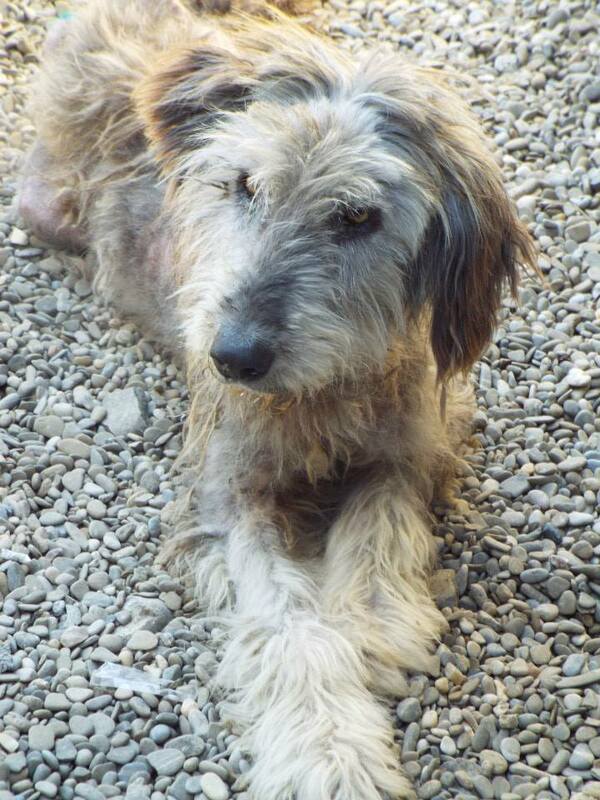 She has also had a haircut and she plays with toys in her foster care. It is hard to imagine that this is the same dog that was scooped from death’s arms a couple of weeks ago. She wags her tail when she sees you, just as she did when she was struggling to survive, and she is a happy dog, full of love. 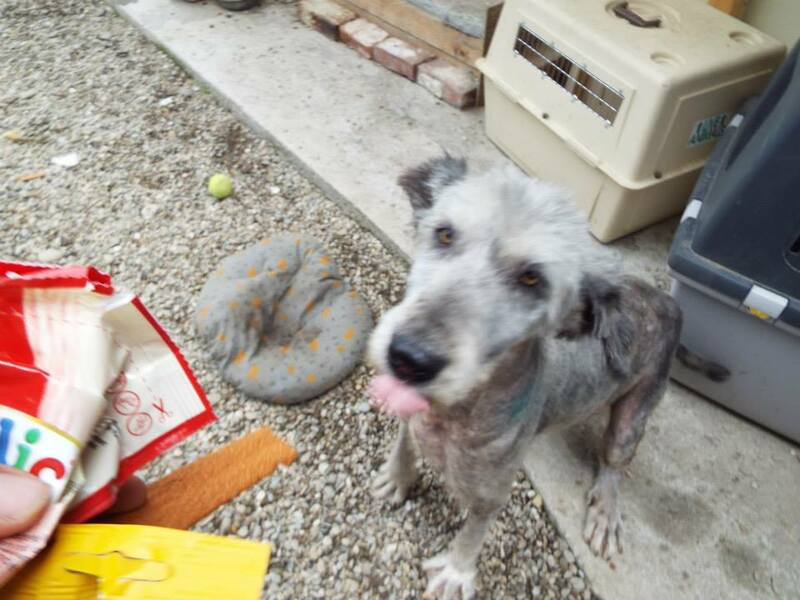 Here is a young dog that was very close to death, starving with who knows how many days left to live, and in pain, who has flourished with just a bit of love and care. She is not only clearly a beautiful dog on the outside, she also has a soul of gold, with a real joy-de-vivre that you would not expect so soon after her near death experience. Ursa is a testament to life and the power of a bit of TLC mixed with an amazing inner strength. She is an amazing young lady. Ursa still has a way to go to recover, and grow her lovely fur back, but she is going to make the most wonderful, joyful addition to a forever family. Please share her story and showcase the work we do. 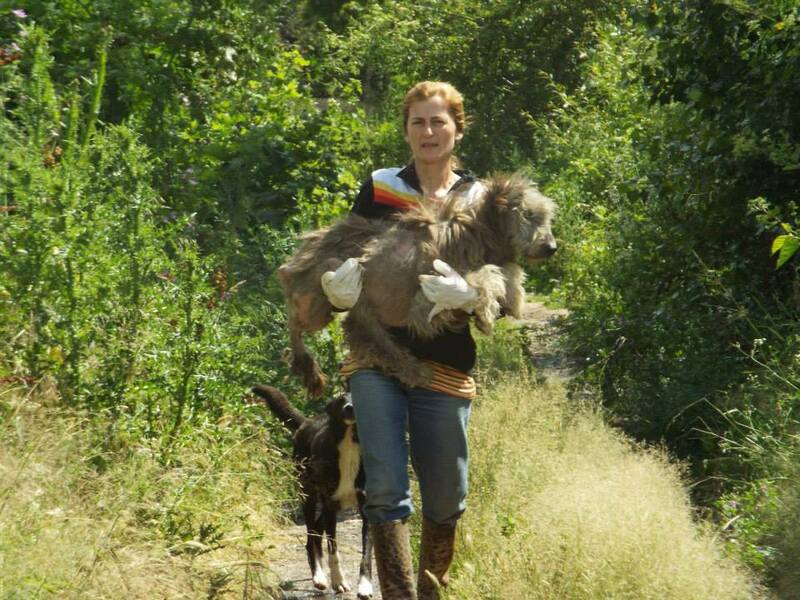 How we go out every day and rescue dogs, carrying them in our arms to safety. How we somehow convince vets to treat based only on debt, and how despite all our limited resources and personal exhaustion we continue to save dog after dog. For dogs like Ursa we are their only hope and we can only continue to save dogs like her through our supporters continuing commitment, through people sharing our posts and making donations, big or small. Join us in saving more dogs. Join us is bringing Ursa to a forever family, where she will never again be hungry or alone.